How did you join ITE? I discovered ITE during the engineering club fair at SJSU. I passed by their booth and was introduced to the club by the ITE SJSU president at the time. What do you like about your ITE position? I like that there is a lot of opportunity for growth within ITE. As president, I enjoy talking to people and encouraging them to be proactive about their college years. Join a club, any club that peaks your curiosity. These are the years where you get to explore and find your passions and interests. My career passion lies in Construction. Even as a kid I would like to build structures from Lego bricks. Now I find that seeing projects being built is very fascinating. I see that my dream job would be managing the construction of huge projects in the Bay Area. Ways in which your student chapter has benefited from the Student Endowment Fund? We were able to send SJSU members to attend the ITE Summit at UC Berkeley at no cost for the students. As one of those who attended, I found the ITE Summit a terrific and inspiring experience with lots of fun activities and engaging opportunities for networking and meeting others who share similar interests. I found out about ITE through an engineering club fair. What I find interesting about transportation is that it can go beyond the scope of engineering. There a a lot of logistics that can be made with urban planning. I’ve had a big interest in transportation planning because I’d generally like to help with something that affects most people’s lives by improving their daily commute, especially in the Bay Area. We had the opportunity to send some SJSU students to the ITE Summit at UC Berkeley. Having been one of the people that attended, it was a great experience to collaborate with other students from across the country and network with companies that work around the region. It was also very insightful and exciting to take part in the discussions that pertain to the future of transportation. I was recruited by previous members who were also members of ASCE. I have liked the opportunity to network with engineers from local agencies such as the Santa Clara Valley Transportation Authority. My dream job would be one in which I could see an entire project through from its conception. I find the system approach to engineering to be a fascinating way to think of modern solutions to age old problems. The Student Endowment Fund has been very helpful for my peers who had the chance to participate in the ITE summit, granting them a wonderful opportunity to see a larger picture of the progress here in the Bay Area. I joined ITE through an upperclassman of mine in ASCE. He was assigned to be my personal mentor through our student chapter mentorship program. So far as an undergrad, my only exposure to transportation at this point was a class on “Highway Analysis and Design”. Through my mentor, my horizons were broaden on the concept of what transportation possibly could offer aside from that study. He enthusiastically share with me his ambition on why he loved transportation. As we had lunch, we sat and recognized how efficient it was for us to get to one place to another in just a matter of minutes or hours depending on the distance. Through that introduction, it peaked my interest to get more involved in what I can possibly do to explore more of what transportation was, is, and will be. Which led me to ITE because my mentor was a board member two years ago. As president this year, I personally enjoy my position because I have the ability to develop and cultivate a new environment for my board members and the overall club. The way I reassure my board members and the rest of the general members is that we are only as strongest as our weakest link, thus we must support and build each other up. As engineers and contributing civilians to our society we will continually be working ethically as a member of a team. Which ultimately means we are always working together, not against one another. As a member of an executive board it is expected that we are uphold to a higher standard to carry out the organization and leadership of our club, however that does not entitle us to the power of having others do the work for us. We ensure an honor system in which we are all held accountable for our actions and thus if we as individuals want to succeed we must also help one another succeed. I am very satisfied and grateful that these positions allow the opportunity to provoke communication and management within our organization. I am so heavily influenced by the abundance of knowledge I have acquired. My experiences stem from my transportation operations and control class, my professors’ enthusiasm for topics and their guidance in educating us properly, my internship at a traffic management center, the research in connected vehicles, and lastly being heavily involved in ITE, building on a consecutive two years as a part of the student chapter. These are the factors that have driven me to aspire to become a traffic control operations manager and engineer. Because I understand personally as a driver and pedestrian I am able to invest my knowledge in proposing a solution. I love how inconsistent traffic can and cannot be. The beauty of having unpredictable traffic is being able to assess a problem for what it is rather than base it off of a established problem with a solution already at hand. That is what engineering is to me, the unique judgement we develop ourselves to solve problems. It isn’t a matter of reinventing the wheel, because if it works why bother. However, it is the evaluation of whether something can be done better or more efficient. From last year, our ITE chapter was unable to submit a fund application thus we did not receive any. However, our purpose of doing so now is so our members can fully reap the benefits of what it means to connect on an intellectual and physical level. To further elaborate, we want to provide our members the ability to fully immerse themselves in the experience of the club whether that is for members to attend conferences, ITS meetings, and socials through proper means of transportation resources and funds to do so. 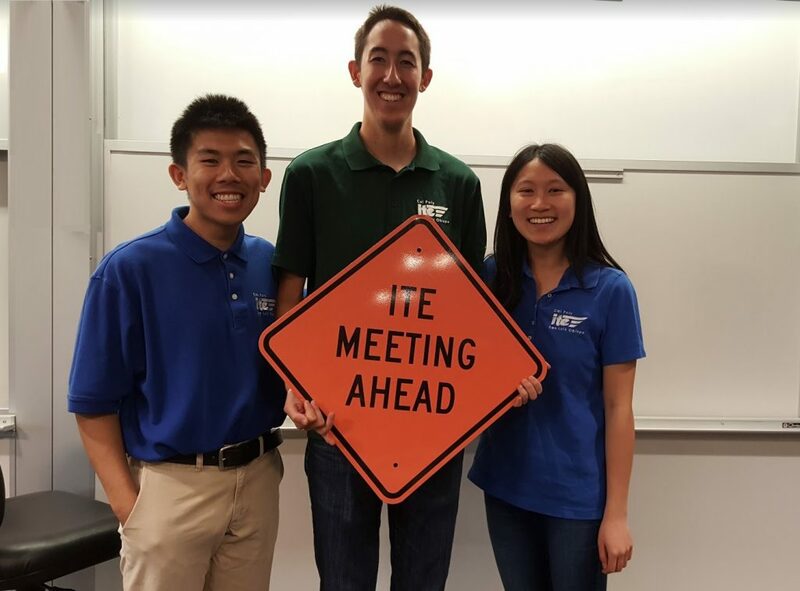 Not only does it help reinforce membership retention as our members transition from students to full time employees, but also engages the community of the overall ITE student chapters together. Our goal this year is to further enhance our networking opportunities and share our knowledge and passion with one another because together we are one. With all that being said, I am so grateful for ITE to have found another factor that enhances my passion of learning for what I enjoy doing. Beyond the financial support of funds such as this, something more recognizable is the ability for this organization to build a strong and abundant source of community. Something in which I will forever be grateful for. During my 3rd year, I was exposed through variety of engineering classes that dealt with hydrology, structures, environmental, and transportation specializations. Out of all the classes I took I enjoyed my highway design class and was also interested in transportation from my internship in the transportation department at UCI. When I was looking through the classes for my 4th year, I saw that ITE was offered as a year-long course and it would satisfy as one of my requirements for my transportation specialization. I had no idea what it was really about and all I knew was that it was being taught by the same professor that taught my highway design class. I’d figured I give it a shot and for that I am forever grateful for joining this program. What I like about my position is interacting with my fellow members and exposing them to the transportation field. Taking all these classes just taught me the theories behind what I had to know but they never really prepared me for how the world is beyond university and I really wish school would have taught me that. When I was in ITE my 4th year, we had to really scramble to figure things out for ourselves when it came to our annual project and make sure to meet deadlines. Even though it was really difficult and stressful, I learned so much and it got me excited about my future in the transportation field on what I will be able to do. When I realized that I had to stay an extra year, I took it as an opportunity to run for executive board and help the student chapter get exposed to the different fields of transportation and make it easier for the members to understand the annual project. It makes me happy when the board and I present in front of them and they ask a lot of questions regarding the topics we have discussed or have them personally talk to us after the meetings on concerns that they have. I don’t think I have a specific title on my “dream job”. All I know for certain is that I want to be in the field of design or operations and management in the future. Right now the transportation field is booming with connected vehicles, autonomous vehicles, and everything that Elon Musk is doing with traffic and Tesla and it makes me excited to be a part of it. With whatever I do in the future, I just want to be able to look upon it and be proud with it whether it be a big project or a small one. So far we haven’t benefited from it. It’s difficult to keep members and board consistent because majority of our club are seniors that are graduating in the following summer so every time in the fall when ITE meets, it’s almost a fresh start. So it’s challenging when a new board has to be made in the fall and to be able to figure things out without any guidance from previous members. Fortunate for the current board, we were in the club in the previous year and were able to get ahead of what we wanted to discuss for the current year. One of our goals this year is to expand our club to 3rd and 2nd years so that they can be able to run the club and be able to participate in more ITE events and benefit from the student endowment fund. I joined ITE through our professor for Highway Design class. It was my first upper division class in transportation, this professor inspired me to learn more about transportation engineering. After talking to him, he recommended me to join ITE, and our school actually offers a class designated for ITE project, which provides a great opportunity for me to explore the ITE community. I like my ITE position as a vice president for communications because it gives me leadership experience. Through weekly meetings, I record meeting recaps, and I post job opportunities and events through emails and our Facebook page. I have learned dealing with time conflicts and coordinating with other board members to create a welcoming atmosphere in our club. It’s happy to witness our members applied for the jobs we shared in our club and got the offer. I appreciate this position for bonding us together and going further. My dream job is to become a transportation planner because I was deeply interested in bus routes since I was young. I tried to take every bus route in my hometown Shanghai, which has around 1,600 bus routes. I am zealous in terms of observing the transportation network, especially transit network. It will be interesting to become a transportation planner and design bus routes by my own, and I will be very happy to see the increase in ridership because of my transit planning. I always encourage my friends and my family to use public transit as it reduces carbon emission and is cheaper than driving a car, but the current transit system has some flaws. I want to fix those problems so more commuters can use public transit and relieve traffic congestion. I always hold strong belief that a person would only be happy if he/she does what he/she likes. I have witnessed some of classmates suffering in some of our civil engineering upper division classes because their family force them to become civil engineers. Although they were not quite interested in this major, it was too late for them to switch majors. Do what you want, pursue a career in which you are interested, not a career your parents tell you to pursue. You live only once. If you are interested in transportation from your heart (like me), then don’t hesitate and join ITE! It will open a door for your future academics and career! 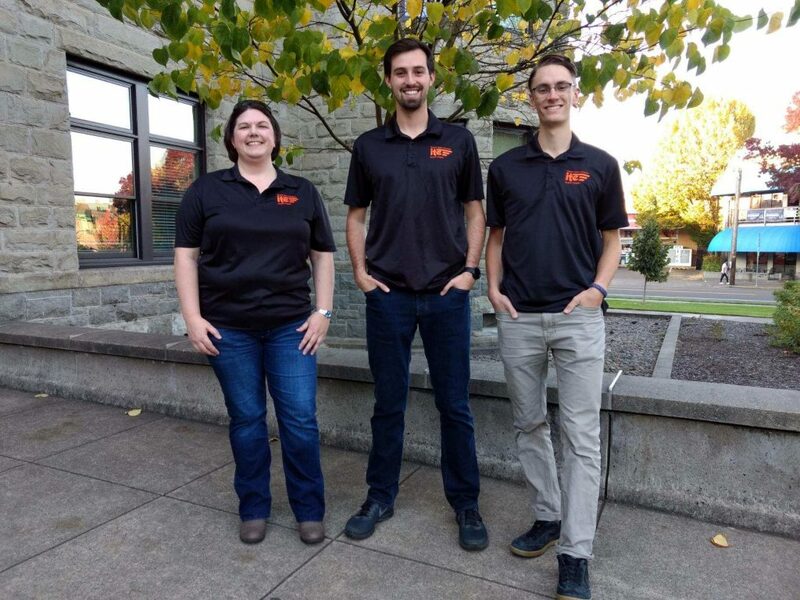 The November-December spotlight for the Western District’s Student Endowment Fund is submitted by students from Oregon State University who contributed the responses below. I started attending industry speaker events and got roped into a cabinet position by another member at my second ever general meeting! I love getting people involved and encouraging them to interact with potential employers, careers, and interests. Getting people close to work that they find meaningful (and pays the bills) is super rewarding! I strive to improve the safety, livability, and environmental friendliness of our built places with a focus on transportation systems and urban planning. I hope to be employed somewhere I can model traffic operations on a large scale, assess environmental and cultural impact, and make decisions that will improve people’s lives and the health of our planet. Most importantly, though, I want to make lots of maps! Sending students to conferences is a great way to supplement their education and get them as much exposure to real world experience as possible. 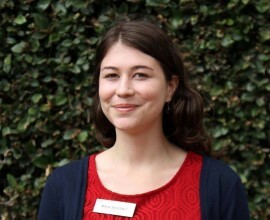 The Student Endowment Fund allows many students to attend many events each year and pick up an invaluable amount of knowledge and number of connections. My mentor Dr. Kate Hunter-Zaworski spoke very highly of ITE, and I joined in on an Adopt-A-Highway event. My dream job is to design transportation systems that are efficient and reduce our reliance on vehicular transportation. I want to build livable cities with multiple options for travel. OSU ITE has been the recipient of support through travel assistance, awards for the student chapter annual report, and outstanding student awards. ITE has provided me with numerous opportunities. Each event has so many new ideas to offer, it is always exciting to meet professionals and hear about current projects. When I took my first transportation engineering course as an undergraduate, I was already set in pursuing structural engineering as a career. During the course, though, I quickly realized how much I enjoyed transportation and I promptly switched my desire to focus on transportation instead of structures. My professor for the course was the faculty advisor for Oregon State ITE and he promptly got me involved with the Oregon State ITE chapter. As the president of our chapter, I really enjoy helping students establish connections. Whether that be with faculty, other students, or professionals, it is really rewarding to help facilitate those relations. The other aspect of my position that I appreciate is the long-term planning and networking that I get to perform. While there are day-to-day tasks in my role, a lot of what I do is planning for the immediate and distant future. It gives a great look at the overall scope and goals of ITE and the paths we should take to reach them. My largest interest in the transportation world is traffic operations, specifically the mix of modes and the challenge of trying to alleviate conflict points between them all while maintaining efficiency in the system. In whatever role I assume, though, I want to be an advocate for all transportation engineers and professionals by helping the general public understand what transportation engineers actually do through my words, actions, and designs. 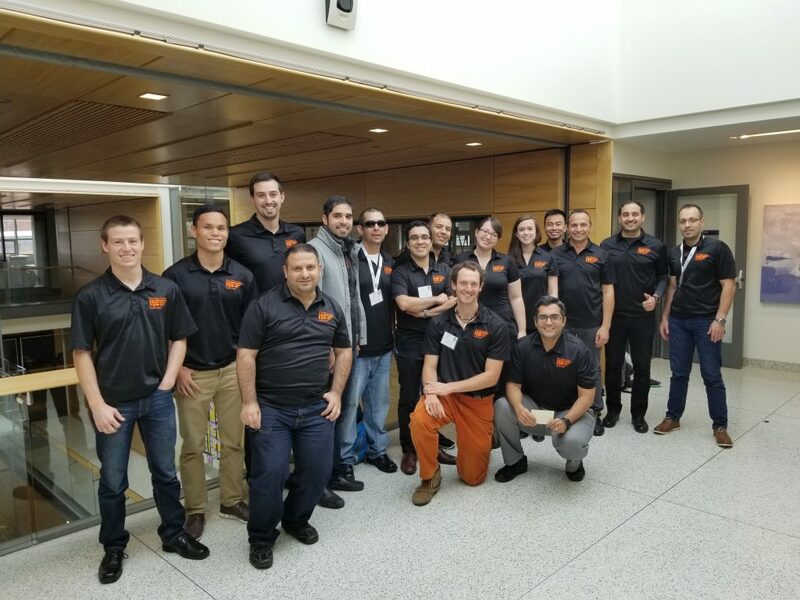 The Oregon State ITE chapter has benefited enormously from the Endowment Fund. We have been awarded money for our successes in areas like winning the Outstanding Student Chapter last year as well as being given support for the Student Leadership Summit that we hosted last January. Just a thank you to all the people that support the students of ITE! Not only with money, but really through the encouragement and support on an interpersonal level. One of the greatest aspects that ITE has helped me with is confidence in talking and networking with professionals. ITE definitely fosters an atmosphere of students being important and encourages them to meet people. Other groups that I have been a part of make it difficult for students to connect with everyone else, but this organization excels at it! In a remarkable display of cooperation, two rival universities are submitting a joint September-October spotlight for the Western District’s Student Endowment Fund. Students from the University of Southern California (USC) and UCLA’s ITE student chapters have contributed the responses below. They intend to jointly hold events in the coming years. 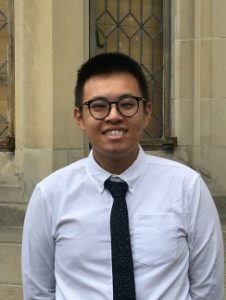 With a passion for multimodal transportation and equity, I joined ITE in the second semester of my freshman year on a whim and decided to attend the SLS Conference, where I received mentorship from a number of industry professionals. It was one of the best decisions of my freshman year. When I was a young child, I used to explore bus lines in my hometown of Jiaxing, China. As I traveled around my city, I realized that people need to travel every day, and buses, along with other modes of transportation, provide people service to commute, to visit friends and to travel to another city. I was amazed by the power of transportation systems and wanted to understand how different modes of transportation work. When I entered UCLA, I encountered ITE and a group of enthusiastic seniors who were willing to answer my questions and give me advice. I started to participate more in ITE activities and became an active member. I like my position as Project Manager because I get the opportunity to pass on everything I’ve learned the past couple years, from the project workdays to work experience to presentation skills, to my project members. I want to guide my fellow students into the field that they most want to pursue, and if that is a career in transportation or traffic engineering, I will do everything I can to inspire them and give them the tools to succeed. 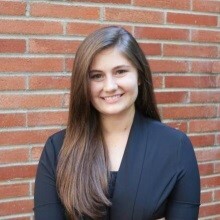 Being Communications Officer has expanded my skill set as a planning student and aspiring transportation professional. I love creating flyers and banners for events and engaging with our chapter’s general members through social media. My dream job would be to work on the California High Speed Rail project! I think it’s such an incredible idea for our state and would love to see it through. Anything that deals with the integration of business and technology. What is your ITE chapter’s plans for the upcoming year? We are excited to start off the year with our membership drive and welcome new members to our organization! We plan to spend the semester hosting a speaking series with professionals in transportation, planning site visits for our members, and providing opportunities for students to attend conferences and networking events for young transportation planners and engineers! This year, our focus is connecting students directly to the industry. We understand the value of industry experience, and so one of our greatest objectives for this academic year is to provide students with direct employment opportunities. With that being said, we are pleased to announce that we will be hosting our Inaugural Career Fair on November 7th, 2018. 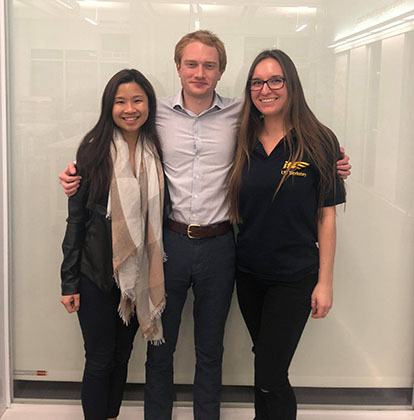 New events like these are what allow us to establish ourselves as the premier club for transportation enthusiasts on campus, and it is with hopes that we can continue to cater to students with a transportation engineering and planning focus in mind. One of my favorite memories from ITE had to be when our team participated at last year’s traffic bowl! It was so fun to get to meet the other ITE chapters and also become closer with the members in my own chapter as we prepared for the transportation trivia! For me, being a part of UCLA’s ITE chapter was the most enjoyable extra-curricular experience I had during my undergrad years. While the technical work in transportation is what drew me into the organization in the first place, it was the people, both in our chapter and at professional events, that kept me intrigued and motivated to do the best possible job I could to learn more and improve the events that our chapter held. Based off of the experiences my fellow Bruins and I have had in the past few years, we are very interested in the concept of potentially hosting SLS in the near future. With Los Angeles being the city in the United States with the greatest number of opportunities to improve its transportation infrastructure in the near future, we are aiming to foster an ever-growing community of young transportation enthusiasts to help tackle the issues that the city is facing. If we were to host SLS and publicize to the rest of the University of the event’s success and importance, we believe it will provide an additional source of motivation for more students to join our chapter, and consequently, join the transportation industry upon graduation. 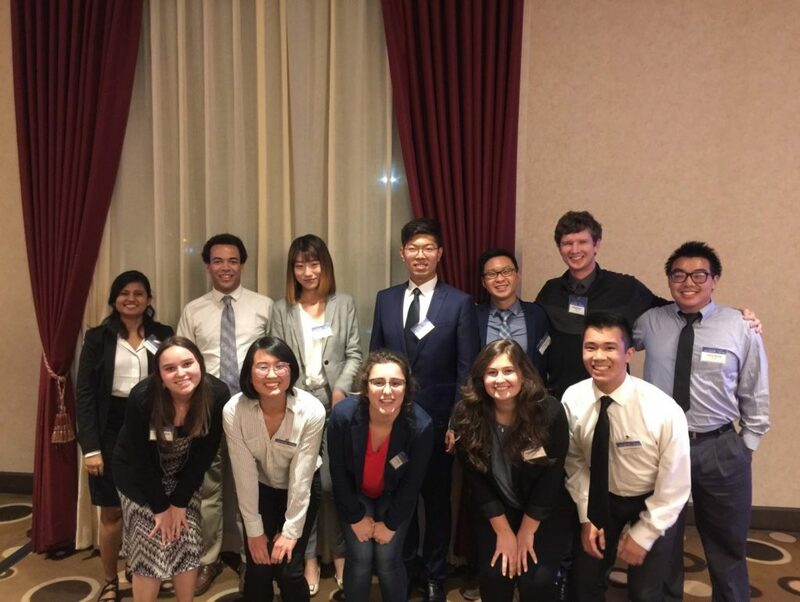 We are excited to not only grow as an organization on our own campus, but also explore opportunities to work with other ITE student chapters at neighboring universities, like the UCLA Chapter. We believe this partnership will strength our organizations, provide new connections, and create a team that is excited to reach new achievements. We hope to be able to continue our partnership by hosting a future Student Leadership Summit. I came to know about this student club right after I joined University of Idaho in Fall 2016. I started going to the ITE meetings and initiatives. As I was getting more involved with the ITE activities, eventually I got selected as the Vice President for the school year of 2017-2018. After successfully serving as the Vice President, now I am serving as the President for the school year of 2017-2018. As the President, now I am overviewing everything for the student chapter. That includes preparing the annual report, budgeting for the next school year’s events that we are going to cover, and applying for funds for these events. The thing I like most about my position is that it offers me freedom to run the chapter towards more efficient achievements. My dream job ranges from a transportation planner to the designer of intersection and roadways. ITE plans for the upcoming school year? Historically, every year we receive limited funding from the university allocations. However, a significant portion of our expenses is covered by individual sponsors. For example, the last Intermountain conference was partially sponsored by Six Mile Engineering. These sponsorships are not frequent though. Due to the lack of funding sources, our team was not able to participate in the Western District Conference in Colorado. We are planning to participate in traffic bowl competitions next school year in all these conferences. Therefore, we are in deep need of support in order to provide opportunities for the students to make these conferences. 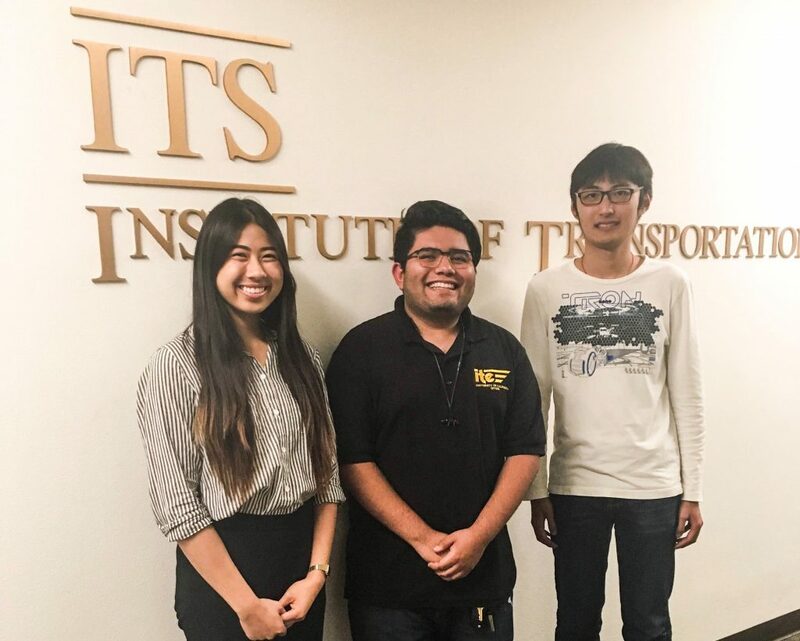 I would definitely recommend every college student to explore what ITE can offer them to build their career through building professional connections and to all be aware of the exciting inventions going around the world of transportation engineering. As a transportation enthusiast, nothing excites me more than seeing a fellow engineering student equally excited about transportation engineering. I heard about ITE from my supervisor, Professor Kevin Chang. He encouraged me to join ITE as it will potentially benefit my future career as a transportation engineer. In my role as Vice President, I assist the President for our student collaborations with ITE and encourage them to help me with their suggestions for the different events that we organize during the academic year. My dream job is to establish a traffic engineering and transportation planning form. 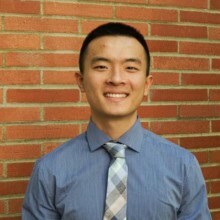 I am the Vice President for our student chapter and this has helped me through making new connections that will hopefully advance my future career. We were offered the opportunity to attend the Annual Meeting in Jackson, WY. I think there is currently a gap between the student chapter and the industry. Both sides can potentially benefit from each other through mutual collaborations. For example, transportation companies could give priority to the members of the student chapter when a position opens up. On the other hand, students can do applicable research that is needed by industry. I first learned about ITE during my first weeks on campus as a freshman. I was really interested in transportation engineering, so I was asking professors and other students what clubs I should join. ITE was an obvious choice, so I connected with the President and was able to make the first meeting of the year. In my role as Secretary, I am in charge of taking attendance and notes at meetings. I help with the annual report and keep our events organized. My favorite part is being involved and learning more about transportation engineering. I’m passionate about a lot of things transportation related such as bike/pedestrian and intersection design, so not quite sure yet. We’d really like to send a team to Western District. Traffic bowl sounds fun, and the whole conference sounds like a great learning experience, but we haven’t had the funds to participate yet. ITE is a really cool organization to meet people with similar interests. Take advantage of it when you are in school or as a professional as well. I first learned about ITE during an internship at SFMTA the summer before college when I was copied on an email to Cal Poly SLO alumni at SFMTA. The email included a picture of Cal Poly SLO ITE winning the ITE International Collegiate Traffic Bowl in 2015. I thought that it would be valuable (and very fun!) 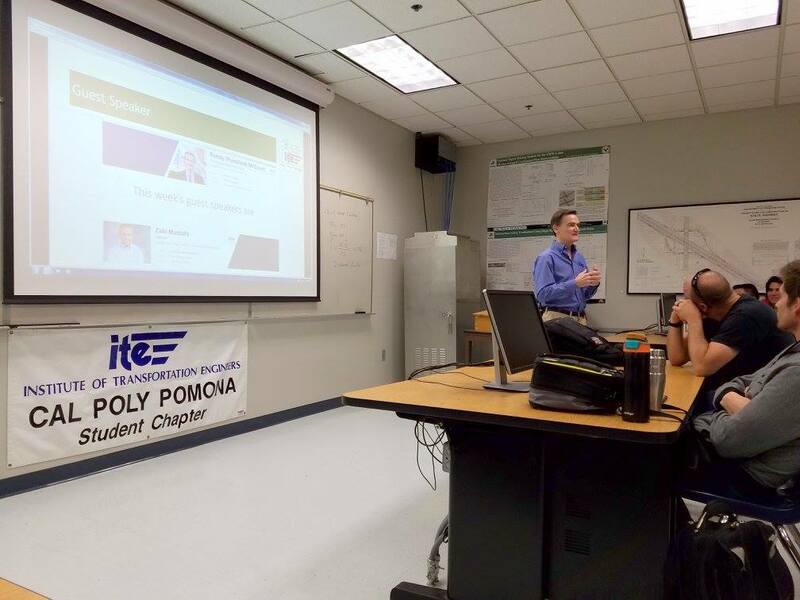 to surround myself with students who were also passionate about transportation, so I joined ITE in my first quarter at Cal Poly. In my role as president, I get to oversee all the Student Chapter’s events. My favorite part of serving as president is seeing our members receive jobs and internships from the events we hold. I also love knowing that I’m helping our members develop meaningful relationships with each other and with professionals. My dream job is any transportation engineering position at SFMTA that allows me to serve the people of San Francisco, my hometown. Our chapter has received assistance from many of the Fund’s initiatives over the years. 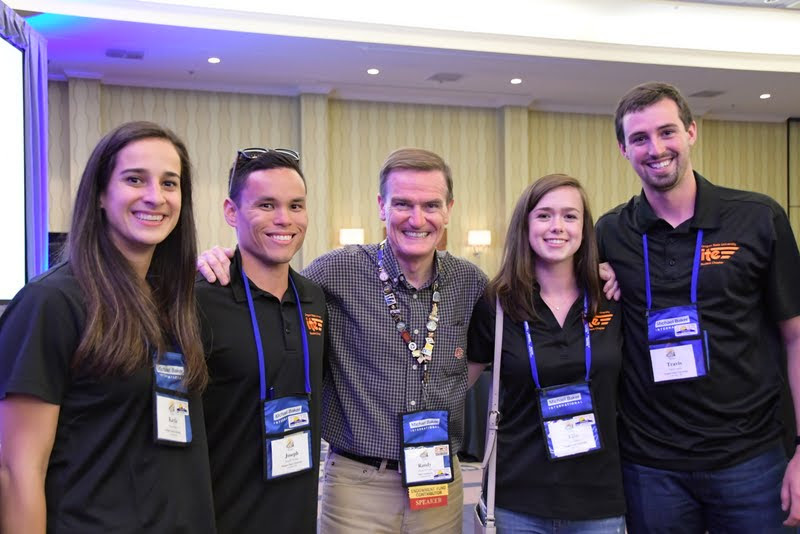 I’m most personally affected by the Regional Travel Scholarship, which helped me travel to the Western District ITE Annual Meeting in San Diego last year. 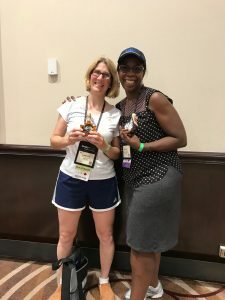 I was paired with a mentor, Dalene Whitlock, who reaffirmed the importance of ITE to me by introducing me to people she has met over the years in ITE. This bolstered the idea that ITE is important not only for the technical knowledge gained but also for the lifelong friendships made. ITE has given me so many opportunities, from travel to internships to friendships. I love ITE and look forward to whatever opportunities lie ahead. Thank you to the entire Western District for supporting the students! I joined ITE my very first quarter when I came to Cal Poly. I already was interested in transportation when I started college so it was natural to join ITE as soon as possible! I am the current vice president of our chapter and I love this position because I get to bring students into the field of transportation. One of my tasks is to attend new student events and club showcases. I find it rewarding to bring more students into our club and our profession. 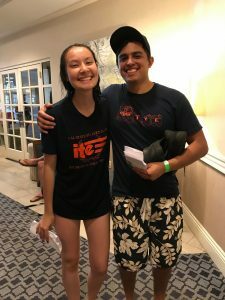 I also enjoy the ability to go to all of the annual meetings and make lasting friendships and connections! I would love to design an airport or work at Disney dealing with all of their transportation needs. 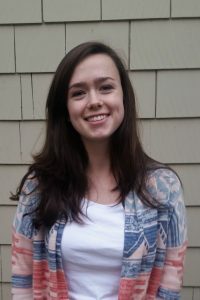 Our student chapter has been the recipient of many of the Fund’s initiatives in the past few years, between Regional Travel Scholarships and Data Collection funding. These funds have allowed our chapter to send more members to conferences and put on more amazing events. Regardless of the money, events such as the Data Collection project provide valuable experience for our students. I really enjoy being part of the ITE community and look forward to continuing my involvement as a student and professional in the future! During Open House, I had the great opportunity to meet Vanessa, the professional coordinator of ITE at the time. Her encouraging words and enthusiasm really motivated me to pursue ITE during the coming school year. After attending the first general meeting where I got to learn more about ITE’s purpose and meet many of the passionate individuals of ITE, I knew I wanted to become a member. As the historian of ITE, I really enjoy capturing the moments that represent and express the community of Cal Poly SLO ITE. Determination, excitement, and fun are some words I would use to describe ITE’s archive of photos. To take these photos, I have the wonderful opportunity to attend many of the events ITE plans throughout the year where I know I’ll have unforgettable memories. My dream job is to become a civil engineer. Over the past years, Cal Poly SLO ITE has proudly received funding and awards from many initiatives of the Student Endowment Fund. Each achievement has graciously supported our chapter by providing the necessary resources responsible for our chapter’s growth, passion, and success. Many of the funds have helped our chapter maintain bi-weekly general meetings, our transportation engineering student project area, and many professional transportation-related events. Without the Student Endowment Fund, many of the events that inspire young transportation professionals would not have been possible. I am so thankful for the Student Endowment Fund. The District’s Student Initiatives Program has been a great source of funding for our chapter and has endlessly provided me with a passion to become successful in the field of transportation. My involvement with ITE has been very impactful to my career and it is a community that I would be more than happy to grow. When I encounter other peers unaware of ITE, it brings me great joy and pleasure to share how much I love being a part of ITE. 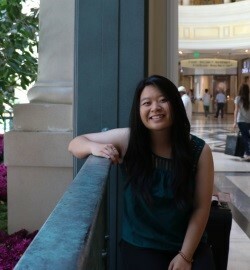 I got involved in ITE as a freshman after going to a general meeting with our SFMTA speaker Kimberly Leung . My first internship was actually with SFMTA and I learned about it from the ITE meeting. This organization is one of the go to organizations for the profession, so it’s incredibly helpful for networking. My role as president is to set overall objectives and keep projects on track, but what I enjoy most is when I see an opportunity for growth and find someone who can fill that role, and then watch it come to fruition. 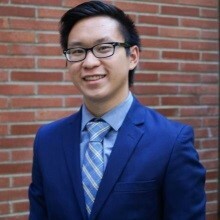 I like getting our officer board to talk and connect with professional networks, and facilitating the exposure of other people in our club to these companies and professors. That’s what I enjoy most. My interests right now are in data analytics and transportation planning for sustainability. With the emergence of technology and big data we have enormous potential to change the transportation industry. I’m interested in harvesting that power to drive sustainable and equitable policies and practices. Our student chapter has received substantial support from the Student Endowment Fund. In particular the fund supports our annual efforts by providing a stipend for submitting an annual report and this year has encouraged us to emphasize it this year. We are also thankful for the student paper awards, outstanding student and travel scholarships. Many students at Berkeley are financially stressed but these awards and scholarships make involvement in ITE and student development accessible for all. I would like to thank Kimberly Leung and the entire Western District for their support of student initiatives. 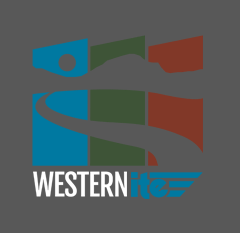 Western District ITE has done a great job of supporting student chapters and providing us with the resources we need to grow. We would love to see more support for these efforts from the industry. The support for student activity is strongly appreciated and an incredibly important investment in our industry’s future. 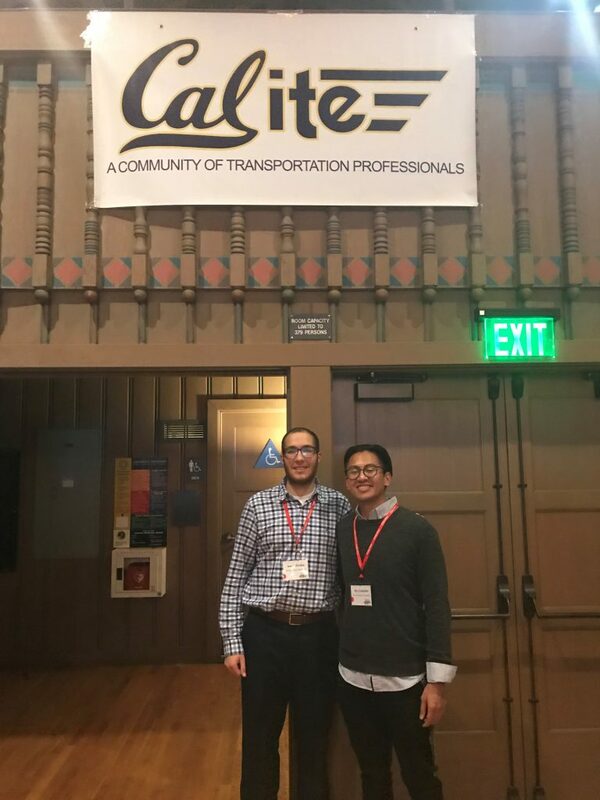 I joined Cal ITE, because I wanted to become more involved in the transportation industry and meet like-minded people that are enthusiastic about solving current transportation issues, as well as transforming the future of the industry. 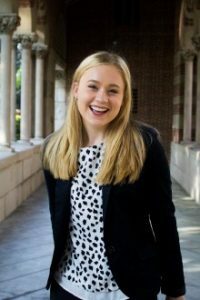 As the Vice President, I enjoyed outlining and planning the events with the President, as well as coordinating with student groups and corporate partners. 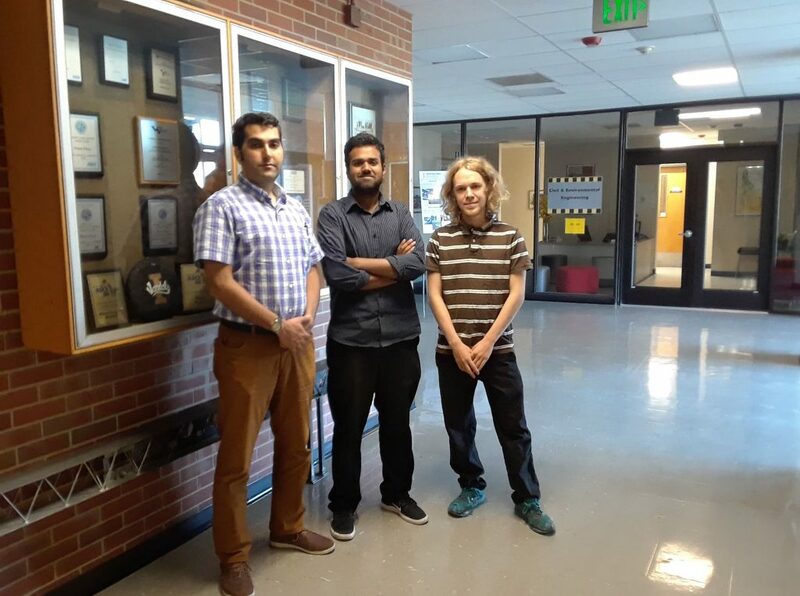 This year, we came up with the idea to host a Fall Mixer with our student members and corporate sponsors; it was an exciting networking event, in which we were able to increase our presence on campus and establish stronger ties between our graduate students, faculty, and industry members. There is a vast amount of data available, but an under-utilization and -leveraging of it in our current industry. I am excited to partake in better using this data to form a more connected and collaborative future and increase the safety and efficiency of transportation. I am especially interested in becoming more involved with the integration of connected and autonomous vehicles into our transportation systems. 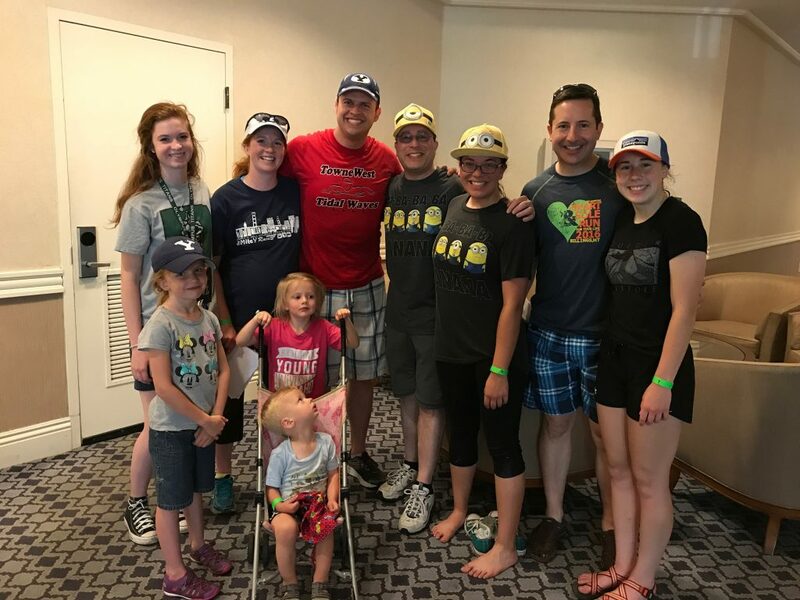 The Student Endowment Fund was extremely beneficial in helping our chapter host professional and social events that has helped our chapter grown significantly in the past years. With this funding, we were able to host more events that has brought together students across various majors interested in transportation-related fields and contributed to building a stronger community with a vision to improve the future of transportation. We are especially thankful for the support we received for winning the opportunity to lead the Kell competition at last year’s Western ITE Meeting – it was an amazing opportunity to develop our organization’s presence within the district. 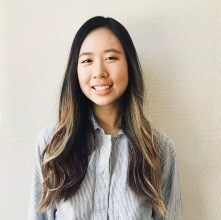 I joined Cal ITE because I wanted to meet other transportation enthusiasts at Berkeley, and become more involved with the engineering community on campus. I also wanted to establish connections within the transportation industry through networking events with ITE. 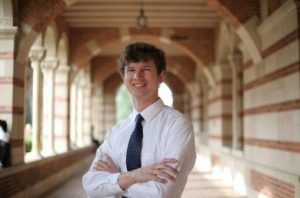 As treasurer, I work to plan each semester’s budget and keep track of our finances. This year we set up a very successful sponsorship program with local transportation companies. This has been a rewarding process as we get to provide more opportunities for our student chapter, as well as establish connections within the industry. I am interested in using big data to improve traffic operations and encourage sustainable transportation. Current disruptions in the industry provide us great potential to shape the future of transportation, and using big data will help sustainable and effective transportation planning. The Student Endowment Fund has provided an incredible amount of opportunity for our student chapter. In particular, the fund provides a grant for the data collection project, which Cal ITE has participated in the past two years. The project encouraged student involvement in ITE, as well as provided real-world transportation project experience. The data collection project was also a great introduction to the ITE Trip Generation Manual and technical report writing for students. The funds received from this project will be put towards hosting more general meetings with industry professionals, as well as covering costs for students to attend ITE conferences. 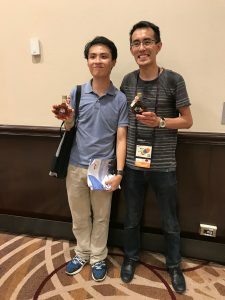 In addition to the San Diego MiteY Race, we also held the second Intermational MiteY Race in conjunction with the Joint ITE/CITE Annual Meeting in Toronto, Canada. The Toronto MiteY Race (entitled “On Thin Ice”) was held on August 1st as part of Hockey Night in Canada. We had 11 family/friends and 7 student teams racing through pit stops located around the Sheraton Centre Toronto. The 1st place family & friends team was the Canadian team of Angela Gibson and Vanessa Skelton. The 1st place student team was from the University of Alberta…Matt Woo and Brian Tran. We were so pleased to be able to once again share this Western District tradition with the rest of ITE!